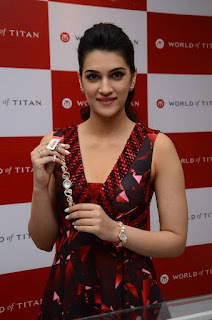 Kriti Sanon At Titan Collection Launch Photos. 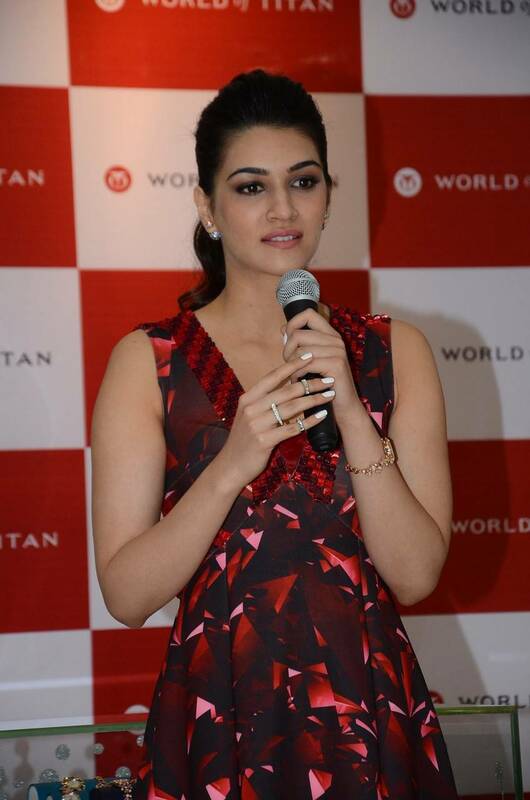 she made her acting debut with Sukumar's Telugu psychological thriller film 1: Nenokkadine. Her first Bollywood film was Sabbir Khan's romantic action drama Heropanti, for which she won the Filmfare Award for Best Female Debut. She did a movie with Naga Chaitanya called Dochay and now she is in Sharukh Khans's next movie Dilwale.